Sandy Steeves – Alperstein & Diener, P.A. Alexander C. “Sandy” Steeves currently focuses his practice on domestic relations, child custody, divorce, criminal defense, traffic violations including DUI charges, and civil litigation. Prior to joining Alperstein & Diener PA, Mr. Steeves worked at a boutique law firm in Ellicott City where he focused his practice in family law and civil litigation. He has successfully tried many court trials and jury trials throughout the State of Maryland. Mr. Steeves has represented clients in divorce and custody actions including high-value and high-conflict matters and those with complicated assets and retirement issues. Mr. Steeves served as an Assistant State’s Attorney for Baltimore County from 2006 through 2012 where he prosecuted cases in the District Court, Juvenile, and Felony Trial Divisions. He was specially assigned to the Domestic Violence Unit in the Felony Trial Divison where he focused on cases involving intimate partners. Sandy worked alongside advocates to promote the innovative use of forensic light sources to document injuries that were not always visible to the naked eye. Mr. Steeves also has tremendous experience with the way that courts view an individual’s 6th Amendment Right of Confrontation, and admissibility issues with witness statements regardless of whether the witness is present in court to testify. This experience has proven invaluable as Mr. Steeves continues to advocate for his clients in criminal court as well as civil protective order hearings. Prior to becoming an Assistant State’s Attorney, Mr. Steeves was a judicial law clerk for the Honorable Mickey J. Norman in the Circuit Court for Baltimore County. He has served on the Executive Committee of the Baltimore County Sitting Judges campaign since 1996, and has played an integral role in the retention of 15 judges in Baltimore County. 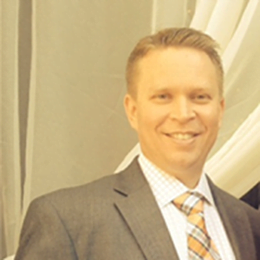 Mr. Steeves grew up in Catonsville, Maryland, and continues to play an active role in his community. He is a Past President of the Southwest Baltimore County Democratic Club, and has served as the Membership Chairman of the Baltimore County Bar Association, and is currently a Vice Committee Chairman for the Baltimore County Bar Association.